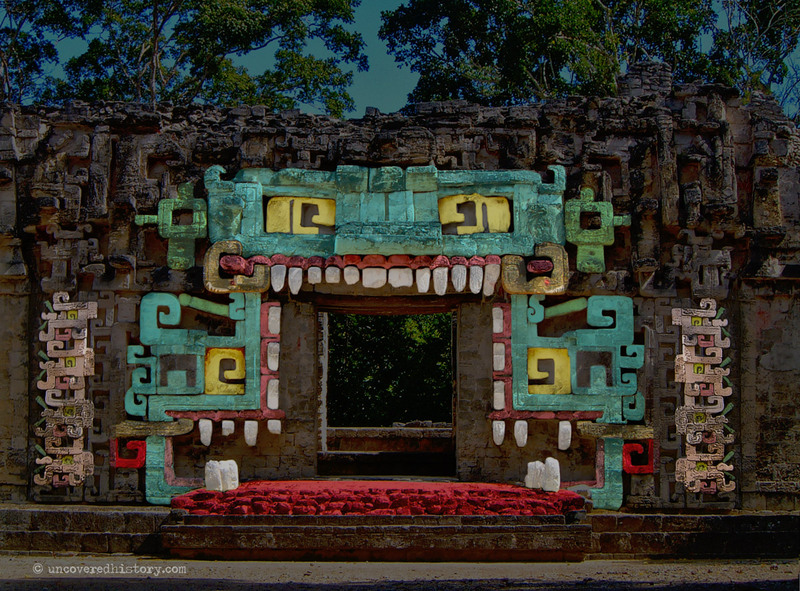 This coloured version of Chicanna Structure II highlights the monstrous features that surround the doorway. This is not intended to be an accurate rendition or suggestive of how the structure would have been painted. To us it seems gory, but the Maya coloured usually coloured their temples blood red, for this was the colour of life and vitality. The colours used above are based on those found in artwork, but not on temples. The intention is merely to highlight the features to make them easier to see. See the article on Structure II: The Monster Mouth Temple for more information on the monster mouth image.